Good post, After attaining a basic skill level, knowing the why is even more important than than knowing the how-to to make any work of art. I see so much sculpture that may be polished but is not well thought out. It's amazing that the arc is from looseness (as an innocent child) to tightness (as a developing artist) and back to looseness again when we get old. It's the same old story, over and over. Interesting post,as always, thank you. 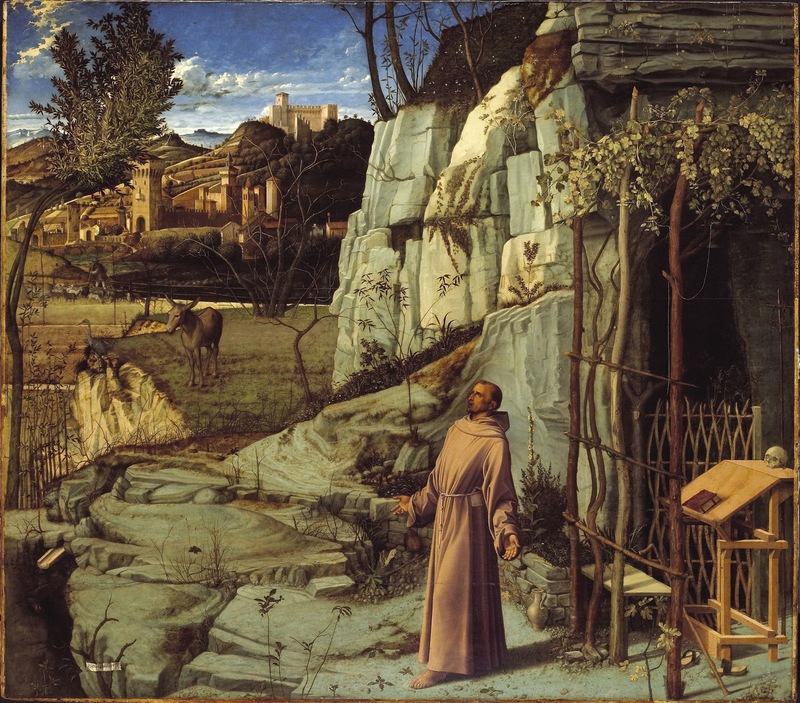 I would love to see Bellini's St Francis in person. Have you read Pictures and Tears by James Elkins (Routledge)? 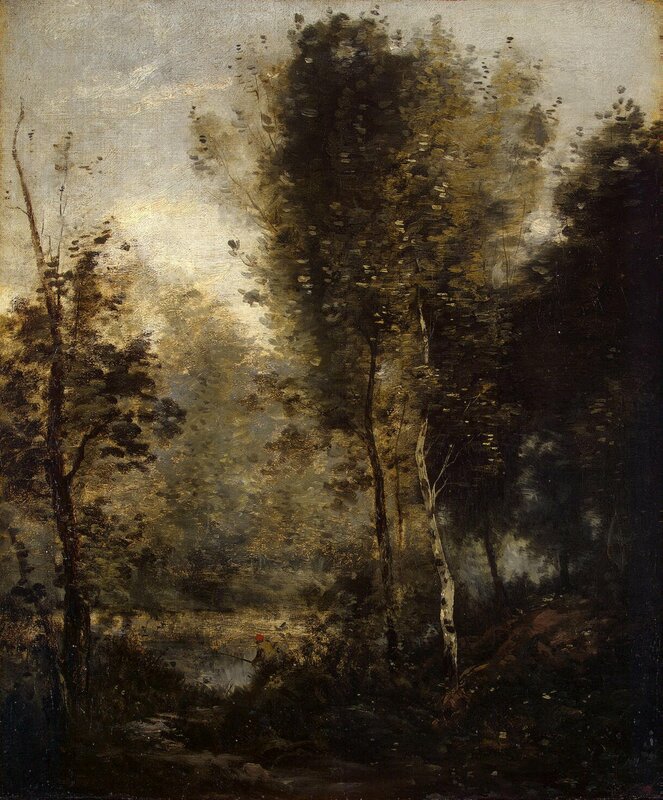 It is an interesting book about why paintings move us, and that particular painting is featured at length. I've seen Bellini's St Francis before, I believe it is in the Frick Collection. now I have to go back and see it again. 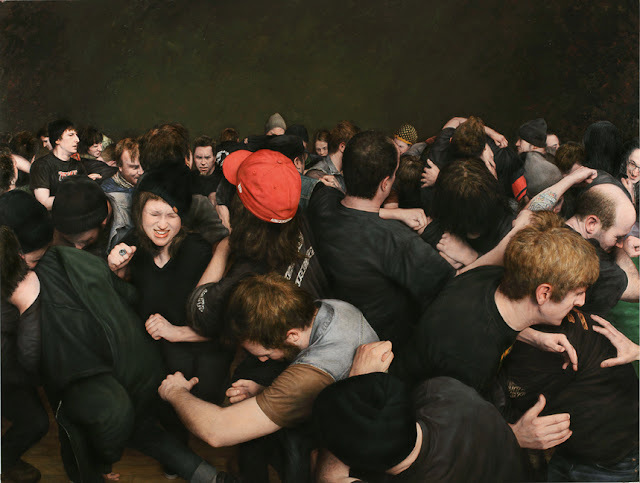 lil, side note for Dan Witz though, I saw one of his gallery shows and asked him about his process. Apparently, he prints a photo on to his canvas and paints over it in oil layers. Thats one way to speed up the process! That's hilarious about Dan Witz. I've done the same thing for some of my decorative panels, but never for an actual painting! Yeah, the Bellini is in the Frick collection. Just a fabulous painting, and huge too. You get kind of mesmerized in front of it. One would think that the focus on all the detail would make the eye stray from St. Francis, and yet it doesn't. What I notice is that the lights and shadows of the rocks point to him, then the rustic lattice stops the eye. What a great painting! if I lived near the Frick I'd be there every day I could manage. 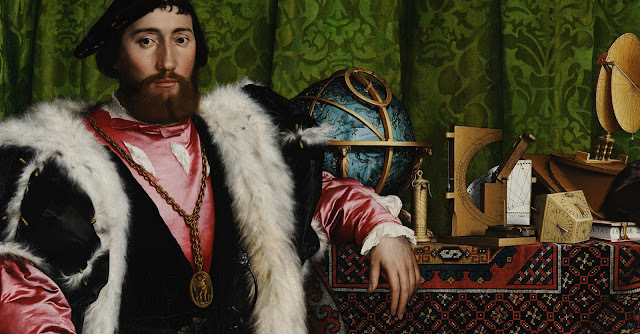 Here is SF we had a Bronzino at the Legion of Honor that had a similar effect on me (re focus) but it's gone now. I think it got traded for a second round draft pick and some cash. Ça me prend du temps à lire mais c'est très ..... Instructif!